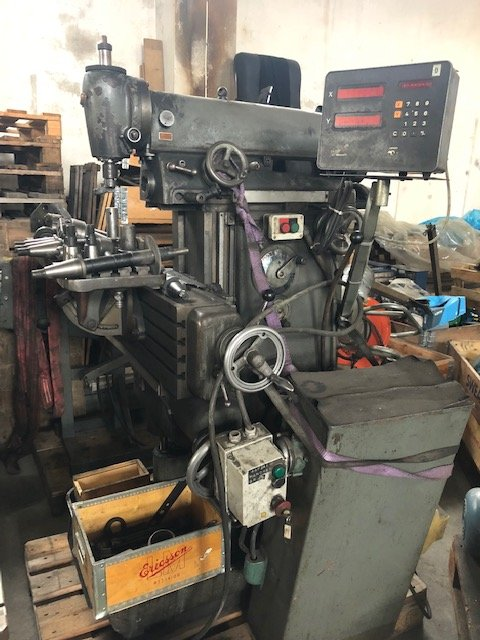 I made a bid on a Deckel FP2 in Sweden and against my expections my lowball offer was accepted, so if everything goes well I could own a Deckel mill soon, this would be my first mill. I was wondering if anyone knows more exactly what year this was made, and if that can tell the weight of this more precisely. It seems it can vary from 970-1300 kilograms. 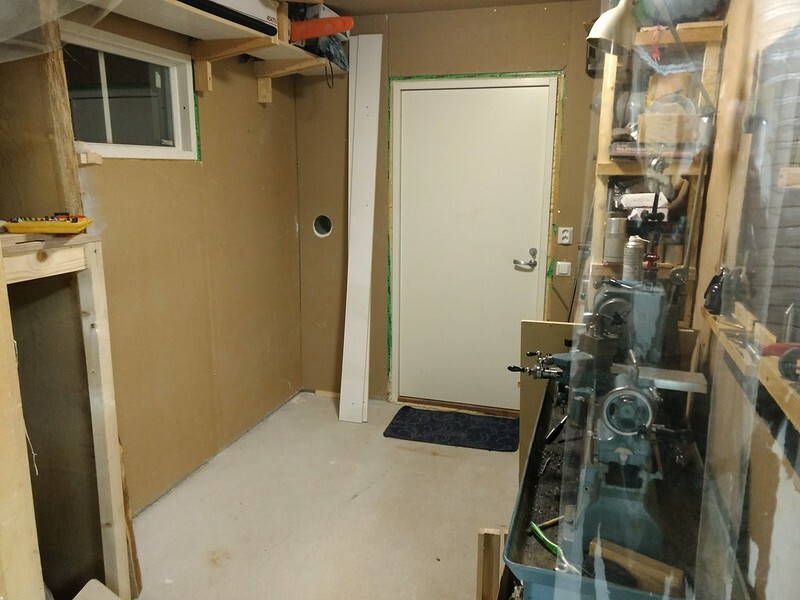 I have perhaps not the ideal amount of room for even a small lathe in my shop. Hmmm....apparently was milling something rather messy for a long time, like cast iron. Looks like it had the obligatory "spindle on/off" pushbutton failure at one time (a modern box replaced original buttons) Still might be fine, condition wise. The original handwheel levers being intact hints of some care taken of the machine even if keeping it clean was low priority. Equipped with the optional "long range" head. Re the year, someone here will know, but really it doesn't matter.. what matters is the generation....this is generation one....which has one advantage over the later machines, which is, the X axis has 100 mm more travel. I can't think of any particular disadvantage of gen one over gen two....they both have SK40 spindles. Thanks for that piece of information, I understand that the 1st generation had the motor internally too, so it will take up less space, important for me. Dennis, I've sent you a private message with manuals for your machine. I suggest you study these before you get the machine. It will help you to understand how it works and how to care for it. Well now begins the effort of clearing space for the machine.... This is the place I keep my lathe in, from wall to wall it is 2300mm and the length of the room is perhaps 3500mmm, ceiling height is 2500mm. Not a big area, in inches it's 90x142' approximately. 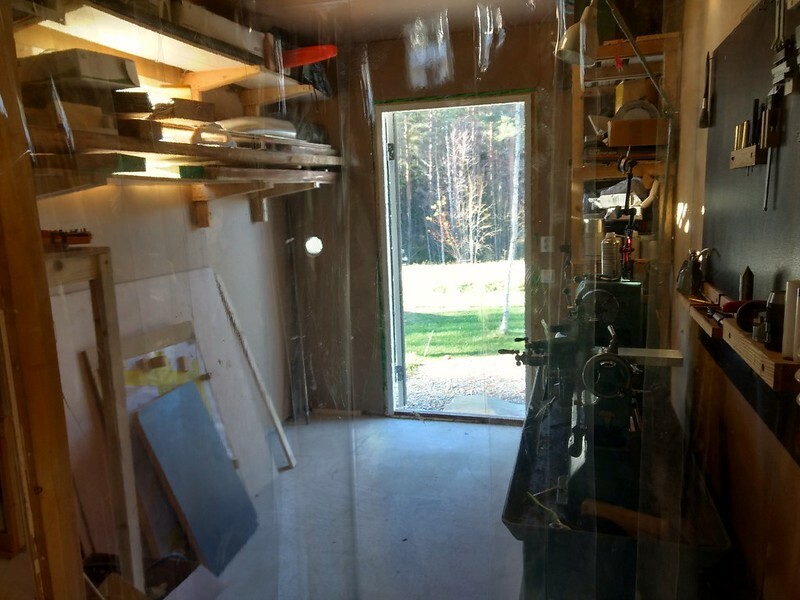 The idea is to put the machine against the wall opposite the lathe, as close to the door as I can put it. I do not have the amount of space the manual I have says this machine needs in this whole room even, but that manual is for a later model with external motor so it would want some more space. But I do not have a choice. The distance from the corner to the door frame is 720mm. Lower height of the shelves is 1600mm. Deckel FP2 height is 1410mm according to manual + some extra for the vertical head. But I plan to remove the lower row of shelves and the sheet goods. The plastic hanging in front of everything is what keeps the woodworking and metalworking section apart. Another interesting thing is how I will get it off the pallet. With my lathe I deconstructed the pallet with the lathe on it and then got rid of the pallet in pieces while using a jack to lower part of the lathe to the floor. But the lathe is only 400kg, this machine is 1000kg or more. One of those two ton garage crane/ engine hosts might have been nice to have. Moving the thing once it's on the floor is easier, I was able to move the lathe piecemeal that way. The getting it off the pallet is what I find is the trickiest/dangerous part. I might be able to rent one of those cranes, or just ask to borrow one on the craiglist equivalent. Cleared out some more now. My plan is basically to have the truck guy wheel it in on the pallet from the garage port (to the right in this photo, my shop is an L shape) roughly into place, then I will go about figuring out the next step. How to get it off. Yeah we got those trucks but they are $$$ to get compared to the usual pallet truck loader. But also a pallet truck is still needed to get the machine into the right place, the garage port is at the extreme other side of my workshop and it needs to be rolled through the whole thing and through one tight spot that is only a few cm wider than a pallet. A pallet truck is the easiest way to get it 95% of the way there, the remaining 5% is then getting it off the pallet. I have a new question. The parts on this machine are all very heavy, the long reach vertical head is over 100 kg total, how do you get it down safely? 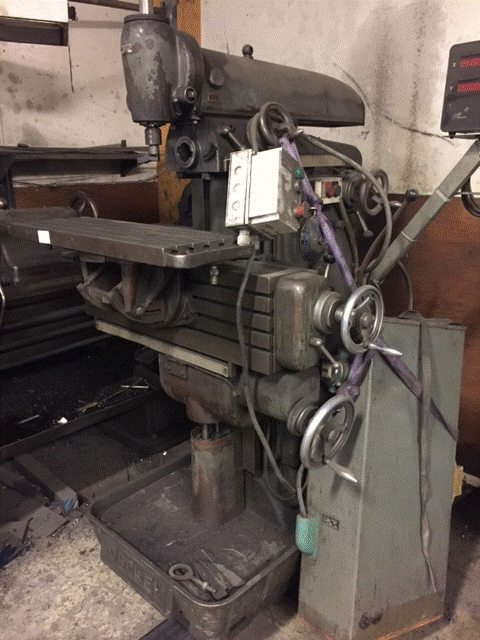 For the table and other parts it seems some kind of support table with adjustable height might work but for the head I think some kind of gantry crane might be needed. I would be interested in seeing other Deckel owners solutions to these issues. Unless your solution is that you are really, really ripped since I don't have time for the gym. My solution is to run unistrut along ceiling and use the unistrut trolley system to allow for movement of all the various FP1 accessories and heads between the FP1 and my heavy duty shelf. I found a very nice shelf as follows: HRS-3648-3 | Little Giant Products which I plan on having further down the unistrut line such that I just pull out a shelf, pick it up with the unistrut/trolley/hoist, pull over the the FP1 and install, or vice versa. For the PF1 heads, a lot of folks install eye hooks on the top of them to allow for hoist connect. For the heavy table options, most common approach is to install eye hooks into the t-slots to allow for hoist connect. first, congratulations on your new machine! Don't worry about your space and how it'll fit, you'll make it fit and then wonder how you even made do without an FP2... I am not a milling machine expert, not even a professional machinist, but I think that the package offered by the FP2 is hard to beat. If it is also in good shape, or can be made to be, then it's a keeper if you are ok with the XYZ travels. Great that you have the long reach head, it is very useful not only for the 'long reach' feature itself but, probably even more useful since it allows for horizontal milling with the head on. Will allow for switching to horizontal with minimal effort, while with the regular head you might find yourself trying to circumvent the switch in order to avoid the heavy lifting. 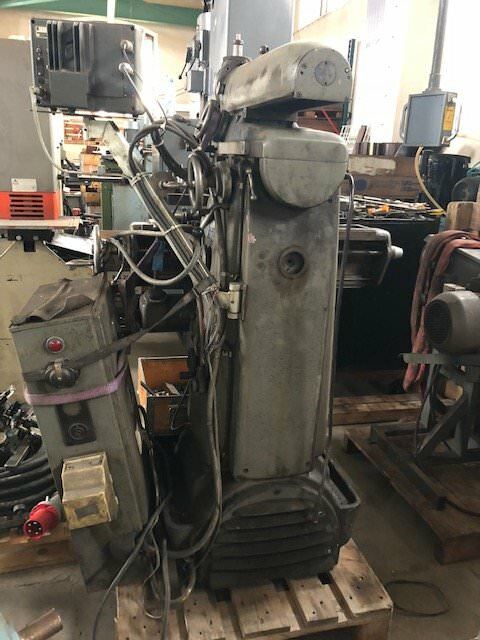 Regarding construction date, I can't be sure unless you provide a full side picture but from the serial number it seems that it might be a 1958 machine, belonging to the first period of the first generation of FP2s. That means that the original start/stop buttons were in the middle of the columnn, between the speeds/feeds dials. And that, though a first gen, it's only 400 mm at X. Regarding unloading and removing from pallet, I've done it 7 times over the last 2 years, with machines of the same weight as the FP2 (1000-1050 kgr). Many guys here have overhead cranes, or heavy duty engine hoists etc than can help. If you don't, which seems the case, I would suggest that you paid a bit more and had the machine put at your doorstep minus the pallet! Prepare yourself with some round or square tubing, or even angle stock (angle placed facing upwards) and have a crane lorry lift the machine as suggested earlier in this thread (and in the manual), remove the dreaded pallet and place it on the tubes. Then, get a couple of friends and push the machine in. Crowbars and pieces of wood will allow for removing the tubes and moving the machine around a bit. 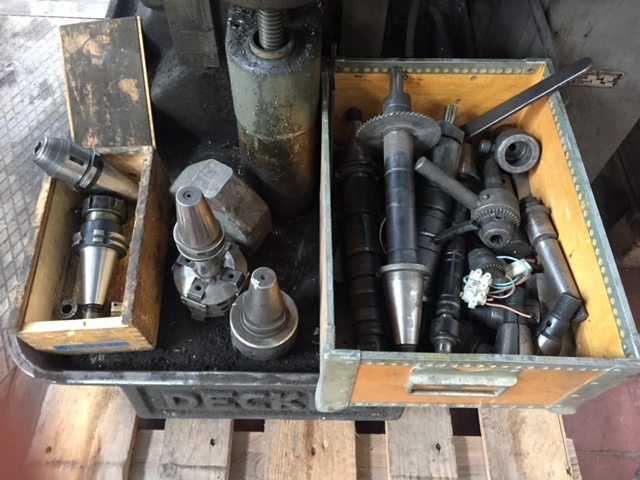 If you want to make your life even easier, consider this approach: Moving the Clausing Colchester lathe - YouTube I've done this, making an even lighter version for the rear part, with bearings instead of wheels. It's dead easy to build and makes moving machinery around a piece of cake. I could push around a 1200 kgr lathe without effort on my own! And it allows you to park your machine like a car, only a bit easier since the steering can turn 360 deg (I placed a spare tapered bearing where the steering plate rests, so it rotates freely even under load). Anyhow, you might consider this option, really helps. Anyhow, enjoy your new machine, wish it's in nice state with not much wear. Start searching this forum and you'll find tons of info on the FP2, for advanced or beginners. I have found Bruce's (ballen) posts very helpful when starting out (excellent documentation) and Ross's (AlfaGTA) for more advanced tasks and modifications. Also loads of info has been shared by many other guys. Subforum members here really know that they're talking about more than any other subform in PM I think! Last edited by thanvg; 10-29-2018 at 07:52 AM. 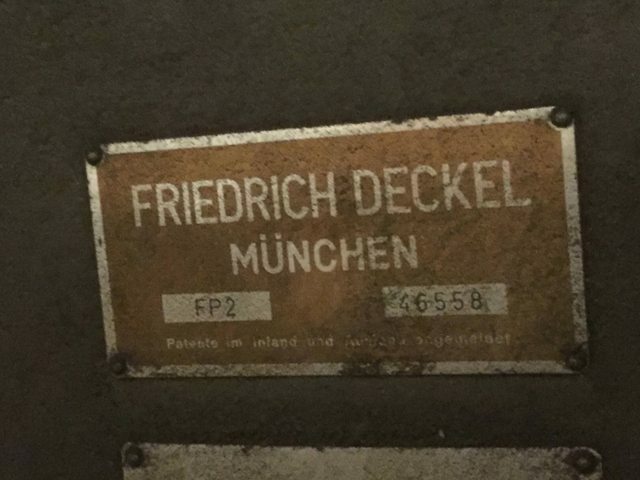 It seems that you don't have control buttons between the dials but serial number plus this Deckel FP2 gen??? suggest 400 mm X. I guess you'll find out soon! 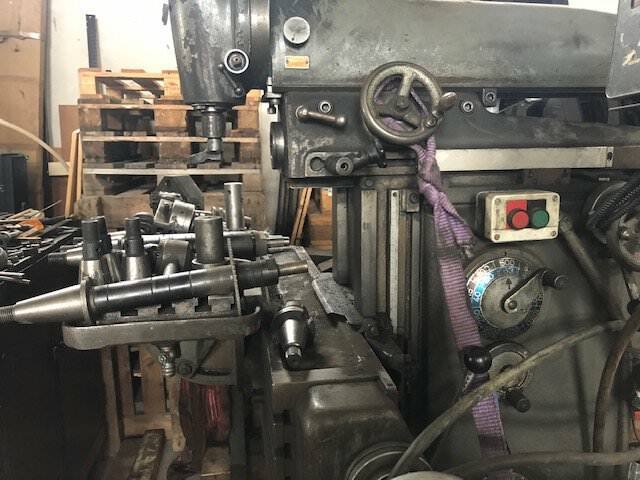 It seems that you're missing the inching wheel (the wheel at the back of the machine used to rotate the gearbox by hand), but you have a lathe so no problem. Ask for dimensions if you don't find it in one of the boxes. Can't wait to get it, right?? 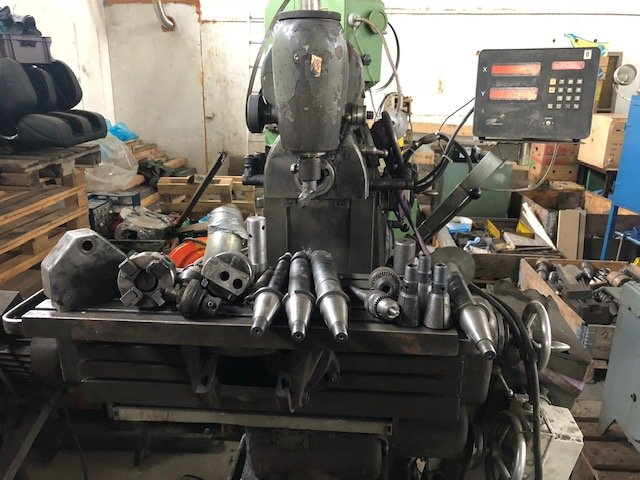 Re getting the machine off the pallet you might be able to use toejacks, I just ordered 4 of them here in Norway for 1000nok each as I will soon be moving my workshop down to France and need to get the machines all on pallets. 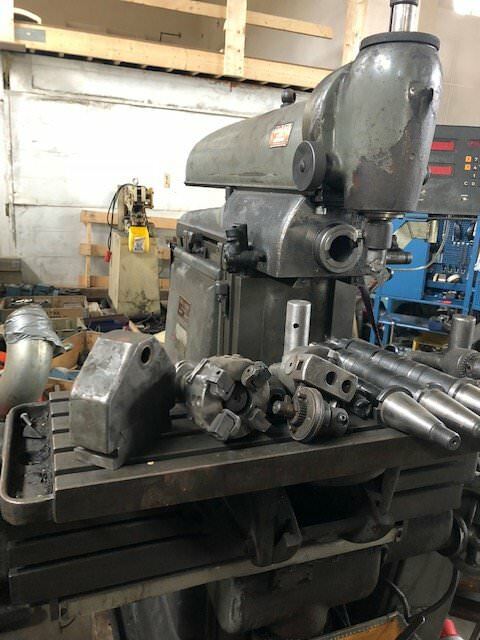 The picture supplied in post #8 of the lifting points for the FP2 does not apply to your machine.... There is no hole through the base casting at the rear...this was added later (gen 2 and later). The lifting point for the rear of your machine is a cast hook or lip on the main drive motor cover just below the cooling louvers. Thanks for that piece of info. I am now in waiting mode, I don't know when the machine will be here as I allowed for a flexible transportation time table to keep the cost down. I will be seeing about borrowing a crane, or renting one for a day. Or just having to buy one. A 2 ton crane is about 200 euros. This is my most expensive machine now at 2900 euros + the freight. But I think I got a good price for a Deckel. Crane is good if you can do it, but back to your experience of cutting-away the pallet out from under your lathe. I did the same with an ~ 3300 lb Avoir 10EE that had been bolted to full two-inch, dimensioned, not nominal, planked pallet, upper and lower decks. I did not HAVE the two toe jacks at the time. I placed timbers through the access hatches and used bottle jacks at a higher elevation. As each of the three "Kinematic" mount points were cleared, a permanent skate was installed. Once the 10EE was fully stable on those, a Sawzall cut the rest of the pallet away and it was dragged out from under in odd bits. You already have the experience as to how this goes and how stable you can keep the whole package as you proceed. Or not. It may again be your most easily managed approach for the balance between and among time, weather exposure, and out of pocket spend on equipment rental. Congrats. Nice machine. If want to lift it down without that pallet, here is how I did it on a similar weight. My experience with cutting away the pallet was to me quite an unnerving task. I had only a simple jack from my car I used to lift the lathe on each side, then I put in a bunch of short 2x6 pieces to the same height as the pallet and lowered it back down. Then I did the same thing on the other side and the lathe stood on three pieces of 2x6s on each side, then I removed one piece at a time, going back and forth lowering the lathe down. So I did with with only one car jack and it only really worked because the lathe was light and stuck out from the sides of the pallet so I could get it with the jack, I was able to place the lifting force at bed height making it more stable too, I wouldn't have liked to have done it at the base only. But I did not like this procedure and my first choice will be to see if I can rent or borrow a crane, my second choice is building a simple wooden gantry crane for this purpose only and getting it down on the ground. The good thing about the pallet at least is that there will be no weather exposure, I will be there when the truck comes and the guy with the pallet truck will roll it indoors at once, so once it's roughly in place, it's basically in it's final resting place and I don't need to worry about that.